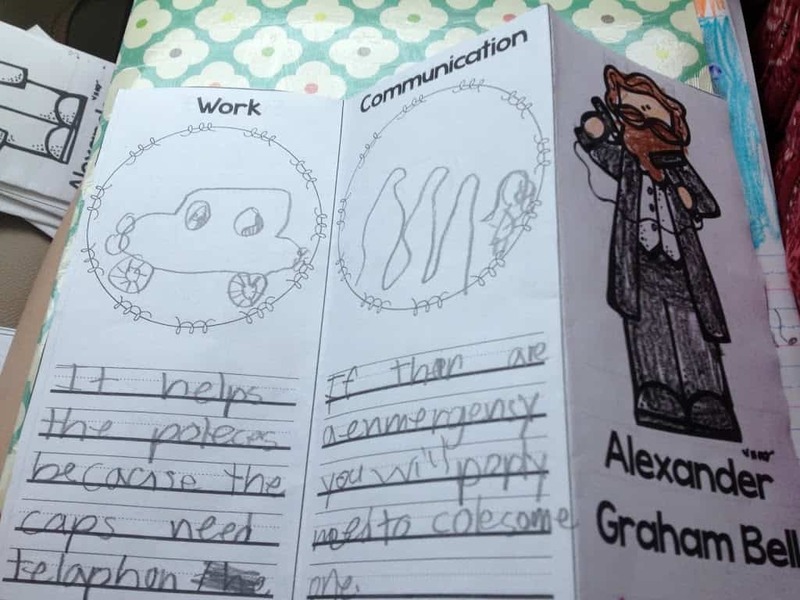 Alexander Graham Bell and Capacity Catch-Up! 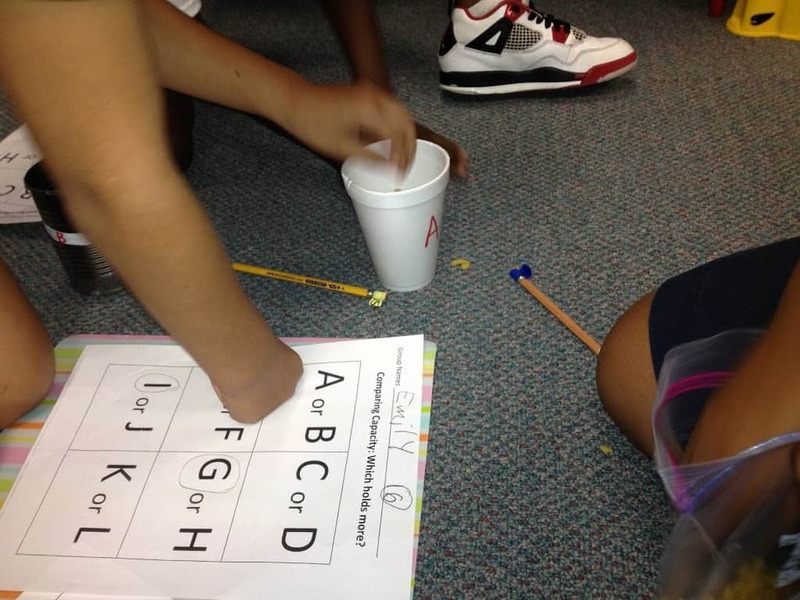 A couple weeks ago we were working on measuring and comparing how much items hold–CAPACITY! 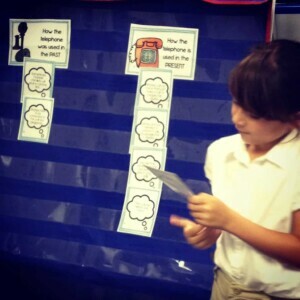 The kiddos really enjoyed the activities we did. 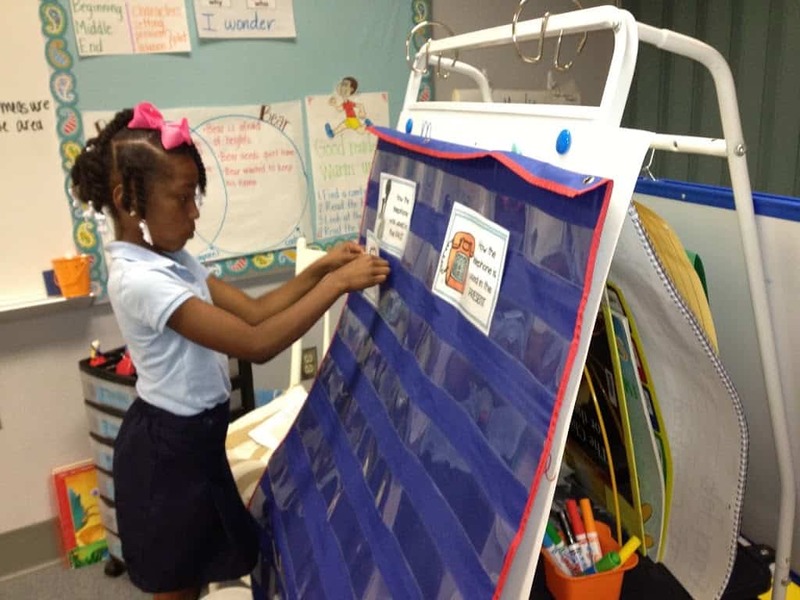 We started the week with reading Goldilocks and the 3 Bears. 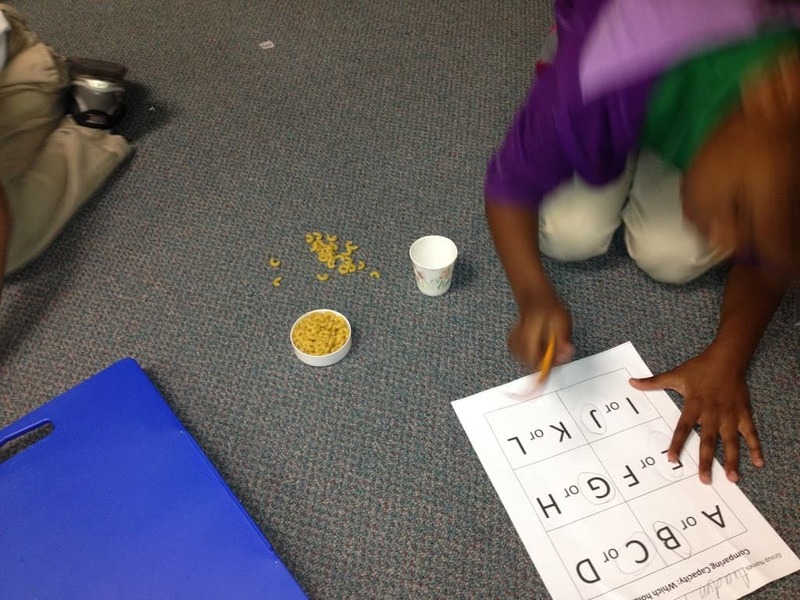 We discussed how each bear had different sized items…chairs, bowls, and beds. Each of them had one that fit them just right! 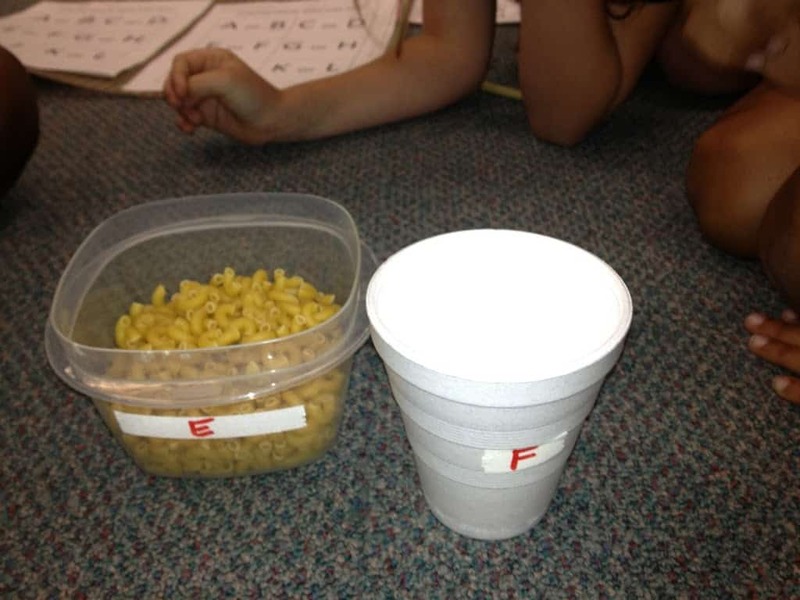 We then compared the capacity of 2 random bowls or cups I had around my classroom using macaroni noodles. I prefer them because they are bigger than rice, but not too big. Next we rotated around the room comparing 12 different containers that were all labeled A-L. Each station had 2 containers and macaroni. 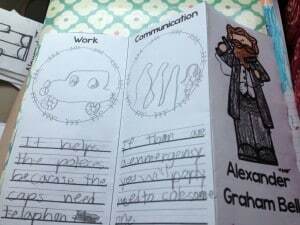 The containers were just random ones that I found around our classroom. We used the same 12 all week. 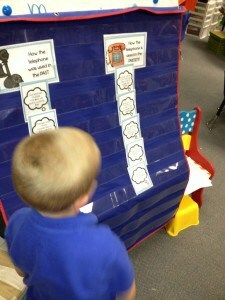 We worked on leveling off the top to make sure we weren’t putting too much or not enough when we were measuring. 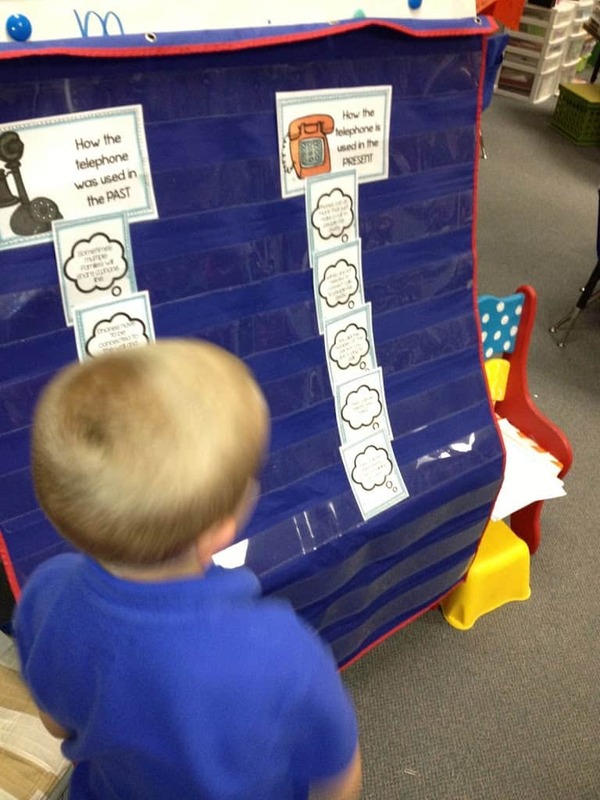 We talked about how if one container needed MORE to make it full, it would hold MORE. Its capacity was GREATER. We also discussed how if noodles poured out that the container held less than the previous one measured. 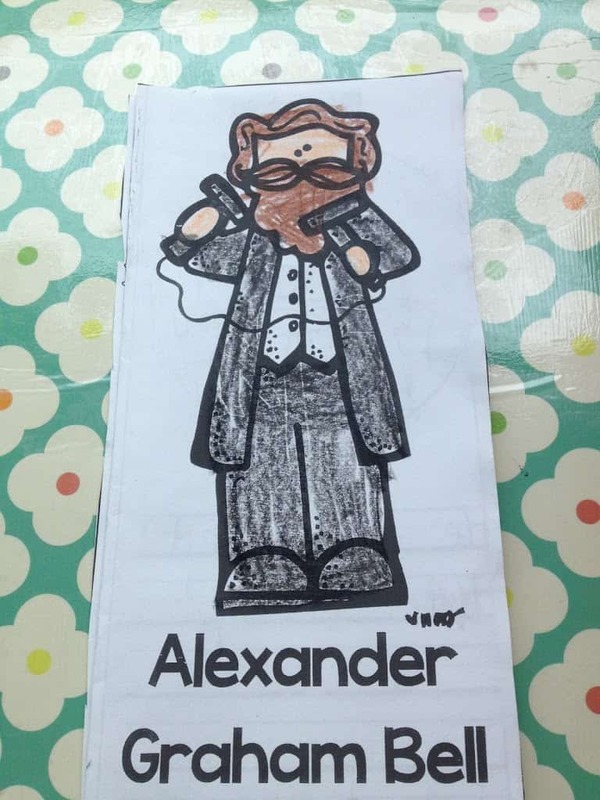 We also finished our inventor study with learning about Alexander Graham Bell. He was a lot of fun! We discussed and sorted cards that helped us understand how telephones were different in the past than they are now in the present. 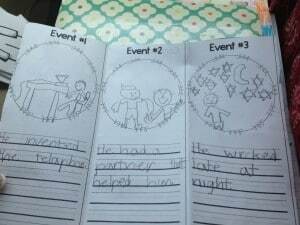 We learned about different events in his life. 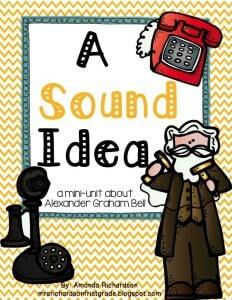 You can grab these and other activities in A Sound Idea: a mini-unit about Alexander Graham Bell. Now I’m back to finishing up end of year gifts and festivity preparation! Have a great week!